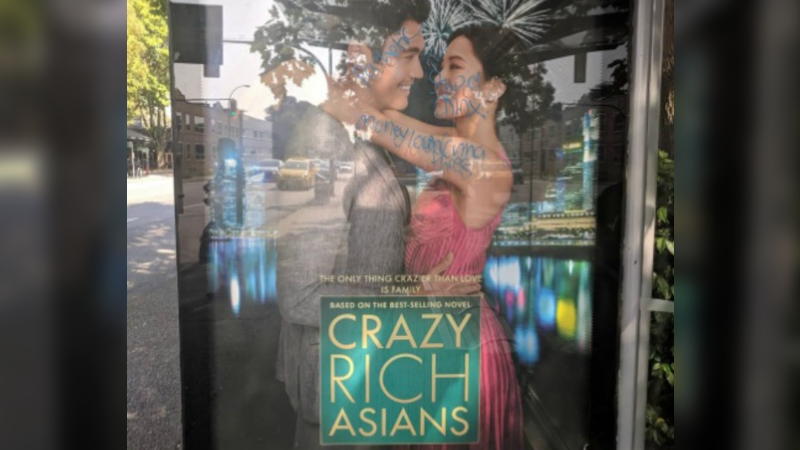 Troubling graffiti on a poster for the movie "Crazy Rich Asians" is sparking discussions about the darker side of Vancouver's heated real estate debate. Pictures posted to social media show a bus stop advertisement for the film scrawled with "money laundering thiefs (sic)" and a racial slur for Chinese people. The poster, located near Cornwall Avenue and Maple Street in Vancouver's Kitsilano neighbourhood, has since been cleaned up. Some on Twitter drew an immediate connection between anti-Asian racism and the growing frustration over the city's unaffordable housing market. "I'm sadly aware of some of the factors driving these racist sentiments. People are angry, and vandalizing a movie poster is a quick release, even if it doesn't fix anything at all," one woman wrote. The graffiti even drew the attention of the film's director, Jon M. Chu, who responded with a tweet saying, "Nothing will shake us. Sorry. We still here." 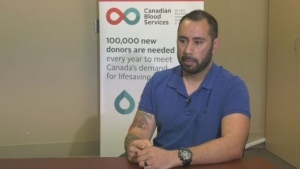 A spokersperson for the Vancouver Police Department told CTV News it did not appear anyone had reported the graffiti to police before it was removed. "Crazy Rich Asians" is an adaptation of Kevin Kwan's best-selling 2013 novel of the same name. The romantic comedy follows a young woman, played by Constance Wu, who flies to Singapore for a wedding and is surprised to learn that her boyfriend's parents are among the richest families in the country.